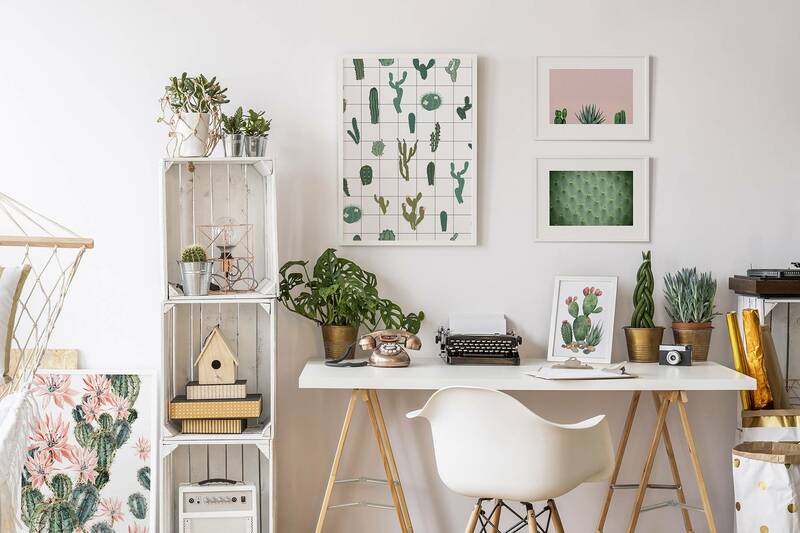 Framed Poster Watercolor pattern with cactus . Framed Poster Vector seamless pattern with cactus. Repeated texture with green cacti. Framed Poster Watercolor vector collection of cacti and succulents plants isolated on white background.